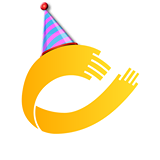 A local British Sign Language (BSL) training provider is celebrating its first birthday today. To mark the occasion, SignUp BSL has launched a competition offering one lucky community group, business or charity the chance to win a one hour BSL or Deaf Awareness training session. But why should you learn BSL? Here are eight reasons. 1. So you can communicate with Deaf people. I used to go to a toddler session at the local library, which was also attended by a Deaf couple with their young son. I was desperate to be able to say hello and get to know them, but I couldn't because, at the time, I didn't know their first language - BSL. 2. BSL is a beautiful way of expressing yourself. Think of how much you already use non-verbal signals to highlight what you are saying. If you dislike something, you screw up your face to show quite how distasteful you find it. If you are describing how big something is, you use your hands to show exactly how massive it is. If you are referring to an object, you will often point to it. BSL simply focuses on the hands and face rather than the spoken word. 3. It's a completely different way of learning. You can't take notes when you learn BSL and you definitely won't need a pen and pad. You just have to watch, remember and practice. Using your brain like this is tiring, but it is definitely a fantastic way of getting that grey matter working. 4. Learning any language is great for your brain and boosts cognitive processes. BSL has a completely different syntax and grammar structure to English, so you'll benefit from better problem-solving skills, improved listening and greater creative thinking. 5. Improved cultural awareness. When you learn BSL you'll also learn about the richness of Deaf culture and Deaf identity. Plus, the diversity of cultural variations in BSL will help you learn about how the language has evolved in different areas of the country - and the world. 6. You're spelling will improve. One of the first things you'll learn in BSL is the alphabet. Which means that even if you can't remember the sign for something, you can always spell it out on your hands. As a result, your spelling will be amazing. 7. When you're in the theatre or a library where you have to be quiet, you can still communicate! It's also a lot easier to chat across a noisy room. 8. You can also talk when your mouth is full!